Tim is Chairman and Managing Director of Barnfield Construction Ltd – the Pendle based contractors, developers and investors. The company employs over 250 people, operates on more than 30 sites nationwide and has a turnover of £70 million. 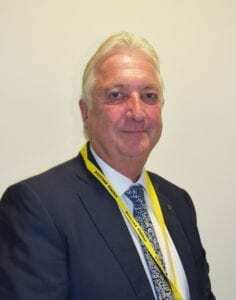 Awarded an MBE in 2015 for Service to Business and the Community in Lancashire, Tim is also Vice Chairman of the Pendle Vision Board and Chairman of Growth Lancashire. Barnfield Construction’s commitment to, and investment in, the Pennine Lancashire area includes ongoing and innovative joint ventures with both private and public sector companies to support regeneration and economic growth, such as the Rossendale Together Barnfield Joint Venture and also Pearl (Pendle Enterprise and Regeneration Ltd) with local authority partners.